What is Starfish Point?Starfish Point is a privately owned beach that is open to the public on the North side of Grand Cayman. It has a perfect view of the Seven Mile Beach (SMB) stretch of Grand Cayman and because of the prevailing wind direction this 'point' beach is always quite calm. We will back the boat into a few feet of water and then we'll go searching for a couple Starfish (Red Cushion Sea Stars) who reside here in large numbers.The only rule of Starfish Point is to not take the Starfish out of the water. Why Starfish Point?Besides being postcard beautiful, Starfish Point is great for people of all ages. For the young ones, there are of course the Starfish to see, shells to play with and even a floating jungle gym for them to play on. For the adults, there isn't a better spot than this in the Cayman Islands to enjoy your favorite cold beverage. The shallow, calm waters make this the ideal spot for people of all ages. 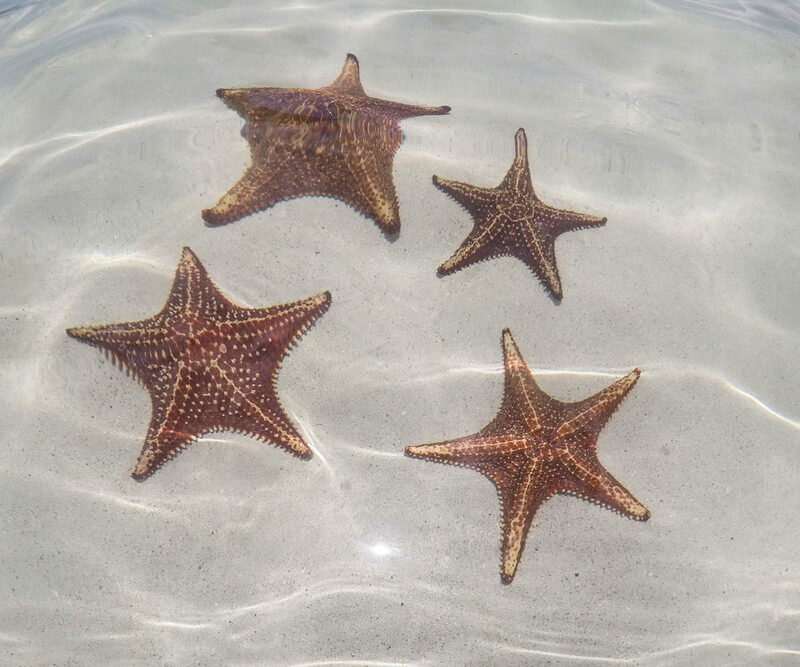 Starfish Point is ~10 minutes by boat from Stingray City, Biobay and our snorkeling sites so it is very centrally located making it perfect for a quick or long stop. Who can enjoy Starfish Point?Again, people of all ages can enjoy Starfish Point. 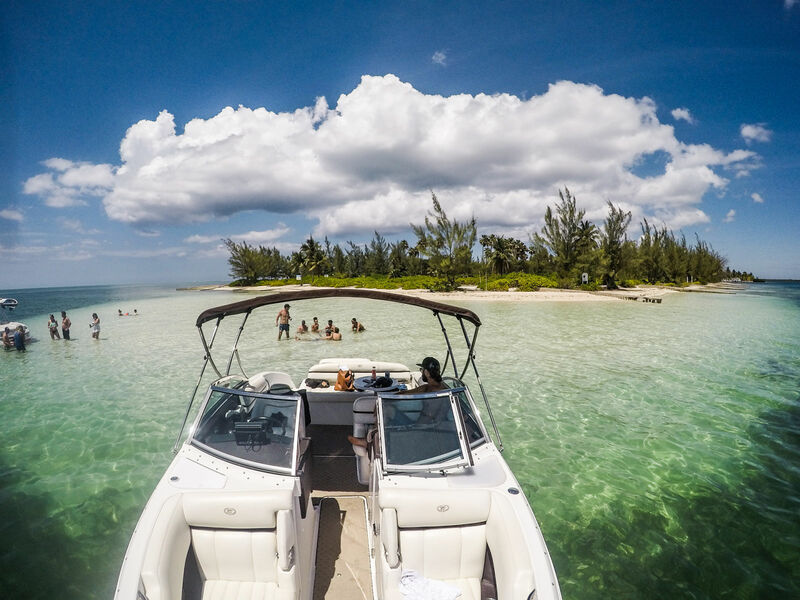 There is plenty of natural shade on the beach and both our boats have a full bimini if you'd like to stay out of the Sun. Starfish Point is perfect for the entire family, a couple out for a romantic cruise or a group of friends looking to relax and unwind. Perfectly situated between all our other common stops, you can spend 5 minutes or 2 hours at Starfish Point making it the perfect stop for nearly all our tours. Cobalt Custom Charters aims to provide our guests with the best boat charter experience in Grand Cayman. From our luxury Cobalt vessels, through our experienced staff and first-class amenities, you will not be disappointed with our boutique style and approach to your boating experience. 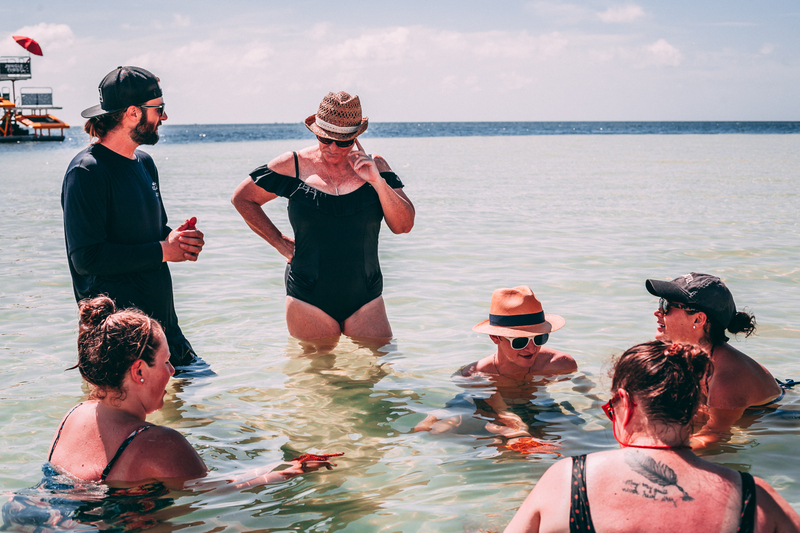 We will work with you before your charter to ensure your day is organized specifically to your group’s needs and desires in a Grand Cayman boat tour. We will treat you like family before, after and during our trip to ensure that you make memories that will last a lifetime.